Every Christmas at one of our family Holiday get-togethers, I receive a fragrance in my stocking. It’s always one of my favorite gifts and comes at just the right time, because I’m usually close to running out. The reason it’s one of my favorite gifts to receive, is because I don’t often purchase fragrances for myself. 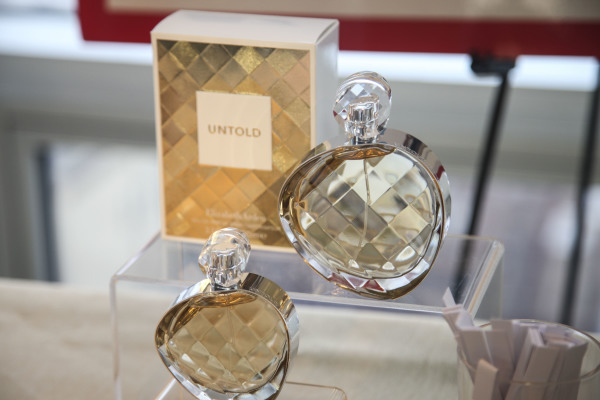 I think a lot of women are the same way, which makes Untold by Elizabeth Arden the perfect gift to give your beauty savvy BFF, mom, sister or other special woman in your life. 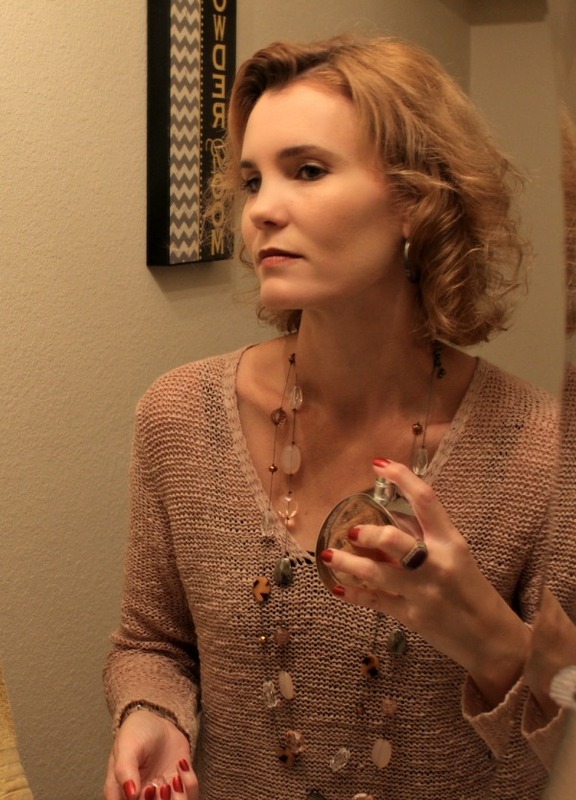 I am really picky when it comes to the fragrance I choose to wear. I don’t want it to smell too flowery or musty. I don’t want it to smell like men’s cologne and I don’t want it to smell like it’s been sitting in the bottle for 50 years. I want it to be a nice balance that isn’t too strong, is light, fresh and something more modern. 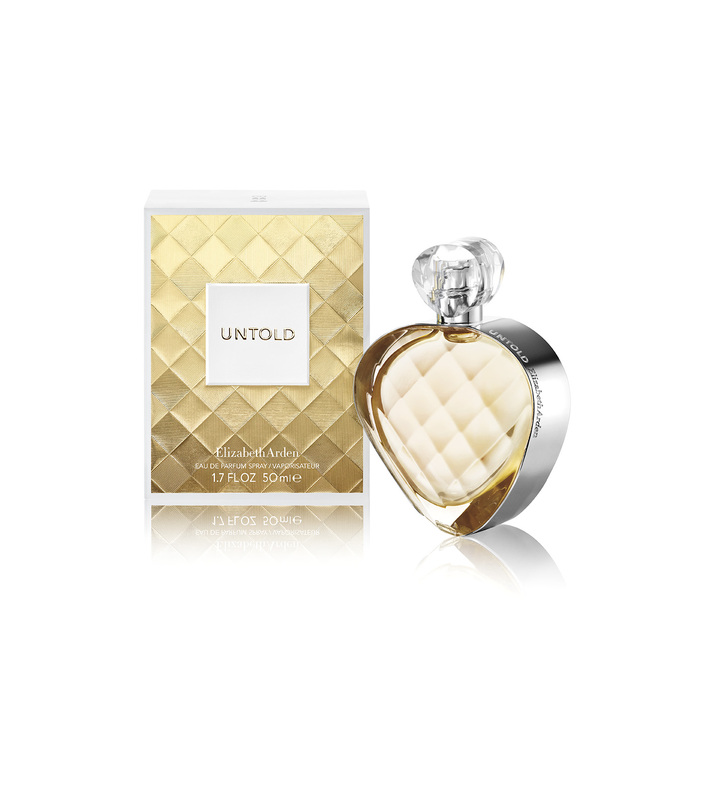 Untold by Elizabeth Arden features notes of Sparkling Pink Pepper fused with crisp Bergamot, Pear and Blackcurrant Bud – just to name a few of the amazing notes that all came together to create a fragrance that smells truly luxurious. 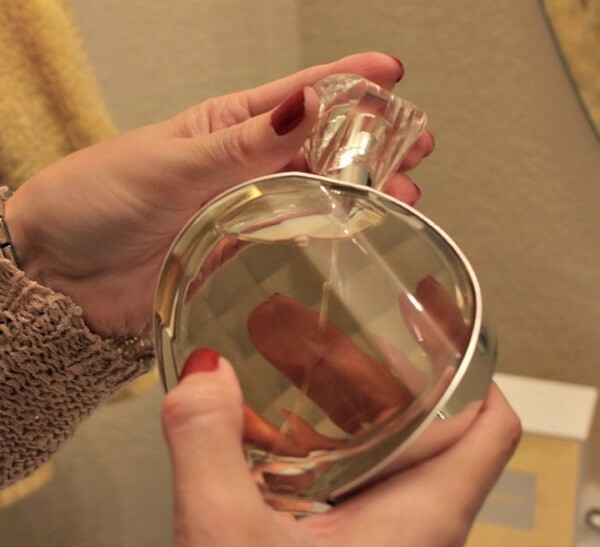 Another feature I want when it comes to my fragrances, is I want it to look beautiful if left on my bathroom counter. It’s hard to explain this bottle, without you seeing it up close, because it’s different at every angle you look at it. It has such a unique design, made up of many facets and is just stunningly elegant. You can purchase and find out more about Untold by Elizabeth Arden on their website. Do you know what else would be fabulous in her stocking or a Holiday gift package? 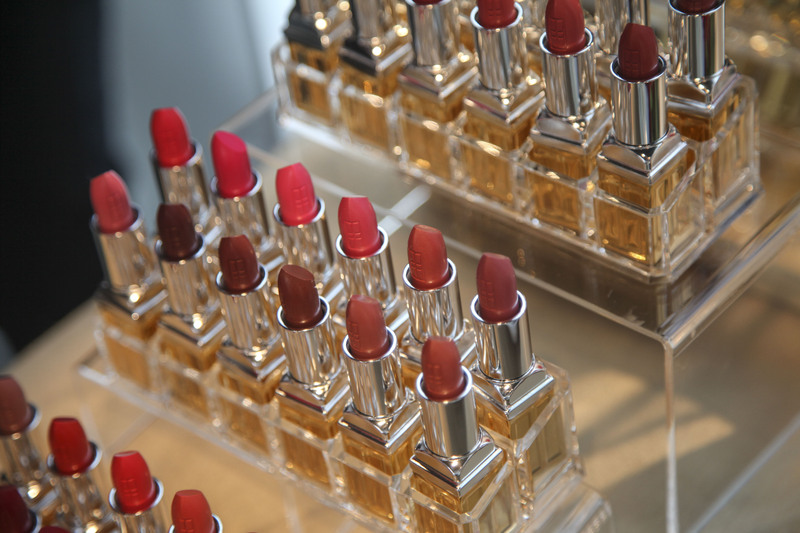 Elizabeth Arden Beautiful Color Lipstick. I’ll admit I’ve never tried Elizabeth Arden lipstick before. In fact, for a few years I’ve steered away from lipstick and worn more lipglosses, until recently. Why the switch back? Lasting color that also moisturizes. You see, believe it or not, I’m aging. Shocking, but true and one place this can show is your lips. One way to help with this is to use lipstick that also moisturizes. 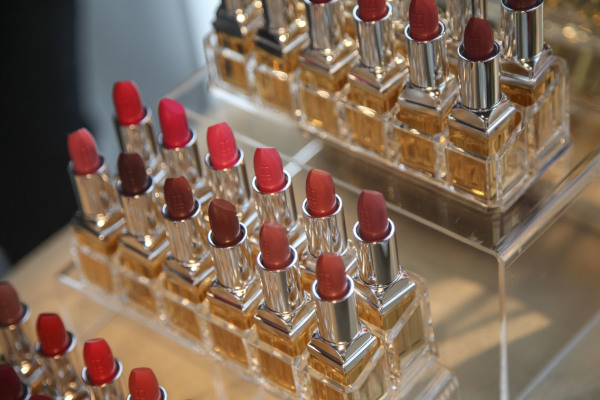 The Elizabeth Arden lipstick not only comes in beautiful colors, but it has the unique feature of containing a powerful blend of skincare ingredients, emollient butters, and vitamins that condition lips for all day moisture and long lasting beauty and color. I’m wearing Iced Coffee, which works perfectly for my skin tone. I wore it to a 9 hour event yesterday and when I came home, the color was still on my lips. And this was after eating festival food like kettle corn, hot dogs and drinks. If you’re attending a Holiday party, a bold dark lip is the way to go this season. I wore their color ‘Beauty’ the other a day and my lips just popped! Not to mention color on your lips helps your teeth look whiter. Bonus! Be sure to check out the variety of colors, as well as purchasing information here. Do you know someone who would love the gift of Elizabeth Arden products from Santa? I am so pleased with Untold and their Beautiful Color Lipsticks and look forward to wearing them while celebrating the Holiday Season.